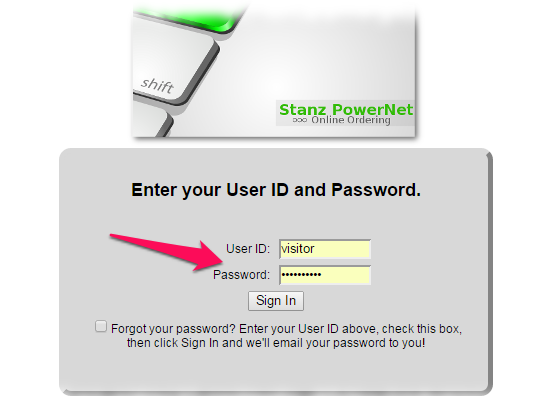 Item Database - Stanz Foodservice, Inc.
Click button above and sign-in with userID VISITOR and password VISITOR579. After signing-in, click on the "Home" button. Move your mouse pointer to "Items" button and click "Search". Click on an "Description" to display detailed item information, see a product image or to download a PDF file containing product information, nutritional details, ingredients, etc. (if available). Click on "Brand" to display other items with the same brand.